Knuckle Cracking: What’s Behind The Soul-Satisfying Sound Snap, Crackle, and Pop? You are at:Home»Culture»Snap, Crackle, Pop: What’s Behind The Soul-Satisfying Sound of Knuckle Cracking? Snap, Crackle, Pop: What’s Behind The Soul-Satisfying Sound of Knuckle Cracking? Do you crack your knuckles? Does it ever make you wonder why? After all, not everyone does it. And many absolutely despise the habit. But for those who do do it, the act of knuckle cracking can be so satisfying—both mentally and physically. That cracking/popping sound isn’t the sound of bones being realigned, as some believe. It’s actually caused by collapsing microscopic bubbles inside “synovial fluid” within the joints of your fingers. So, it’s not just some onomatopoetic term we’ve loosely attached to the act. You really are hearing the sound of something being popped. Want to know something else? Once cracked, you can’t crack your knuckles again for about 20 minutes. And while knuckles aren’t the only joints that crack, the fact is you can’t crack them all. Originally, it was thought that multiple bubbles cause that signature sound, but the École Polytechnique team found that the “crack” could also be the result of just one bubble being popped. Barakat and his team made the discovery by simulating the events that lead up to the crack/pop sound with new algorithms and computer models. Why Do We Like Cracking Our Knuckles? 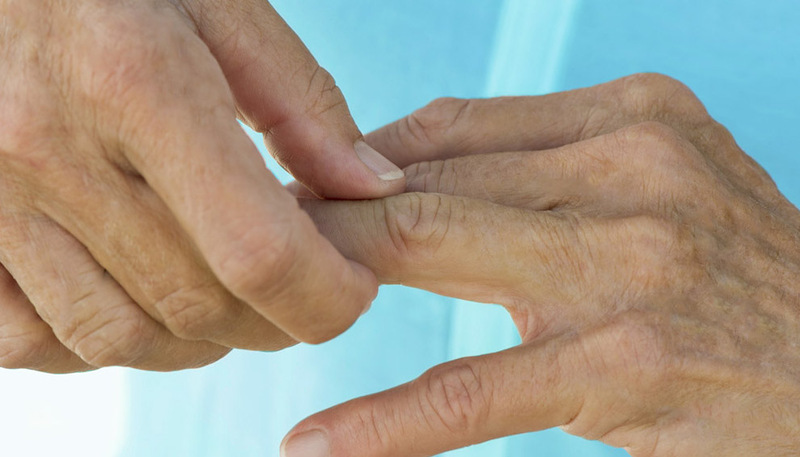 Those bubbles that form inside the joint fluid are made of gases that build up in your fingers. Popping those bubbles alleviates the gas that builds up in them. Also, it’s just so damn satisfying to hear that sound—like when you pop plastic bubble wrap. And who doesn’t love that? Commies—that’s who. Just kidding. But it did make me wonder how other people feel about the act of knuckle cracking, so I polled our team here at Digital Addicts and here’s what I found out…. Morgan: I love cracking my knuckles, but I hate when other people do it. Scott: If it cracks, I’ll crack it back. Alexa: I hate it, omg! Lyn: I don’t hate it, but I don’t do it. Tricia: Ew. I absolutely hate that sound! Same goes for nails on a chalkboard and metal utensils scraping pots and pans. Doug: I always crack my fingers, broke them too many times so it’s out of necessity lol. April: Um. I’m ambivalent. I don’t do it. It doesn’t bother me when other people do it. Jim: I crack them all the time. It feels so good. But I don’t do the pull method. I do the bending one. Oh man, that all just sounded so wrong. Sarah: I crack ‘em all the time. It feels so good. Wayne: All the time. I work a lot with my hands—doing metal work, writing, playing guitar—so they get stiff. Cracking them loosens ’em up. What’s your opinion on knuckle cracking? Love it or hate it—let us know in the comments section. Like science? You may also like this story.